Back in the Fall, I had a question regarding monitoring Azure AD Connect Sync with SCOM. 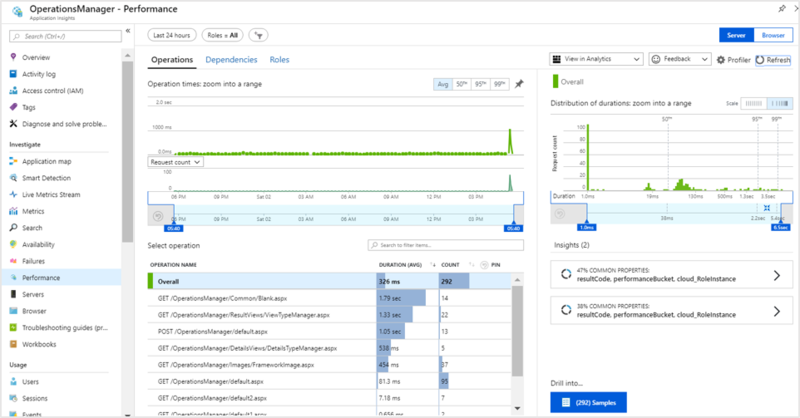 The preferred solution is Azure AD Connect Health, and if you have SCOM you couple that with various on premises AD/ADFS Management Packs to monitor your hybrid environment end-to-end. I love that our product teams who build cloud services are taking a proactive approach to monitoring and thinking about it as integral to the product development cycle. A part of me would like to see a Product Group Management Pack for Azure AD Connect Sync, but I also understand that in this new cloud first world that you have to focus your resources carefully, and sometimes that means developing solutions that can potentially benefit a broader pool of customers. The biggest challenge that I have seen for some Hybrid Cloud customers is that the out-of-box built-in notification mechanism of these monitoring solutions is e-mail only. Many of the customers I work with have fairly advanced notification/ticketing systems, and while e-mail is one avenue of alerting, it isn’t the only one. For customers with SCOM, they have often put in the leg work of integrating SCOM with their existing notification systems. So certain alerts are e-mails, others are tickets, some might kick-off a page or text to wake-up an engineer at 2 AM. With some cloud services I can understand the argument that the paging at 2 AM is going to happen on the vendor/provider side, so your engineers can continue to sleep peacefully. 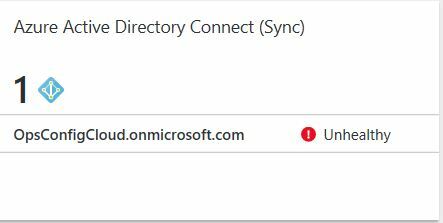 But with a hybrid solution like Azure AD Connect Sync, that isn’t really the case. You can absolutely have a problem that only your engineers can fix, and you may want to have the flexibility to leverage your existing notification systems. You could certainly explore integrating directly between your ticketing/notification system and Azure AD Connect Health, and for some customers this will be the correct path. (No need to add an extra hop/point of failure if you don’t need to.) But for those who have already invested heavily in SCOM, it would be nice to have a management pack that could provide basic integration with minimal development effort. I didn’t have time to tackle this problem during the Fall, but I have a week of vacation next week so I spent this past weekend putting together a quick proof of concept Management Pack. The MP is still very much in beta form, and it falls under the usual AS-IS/test heavily/use at your own risk disclaimer that accompanies all community based MPs. I am actively seeking feedback and will come out with additional versions as time allows, so if you have suggestions please feel free to send them my way. If you DM @OpsConfig on Twitter, or leave a comment I will respond via e-mail. The core functionality of the MP is simple. 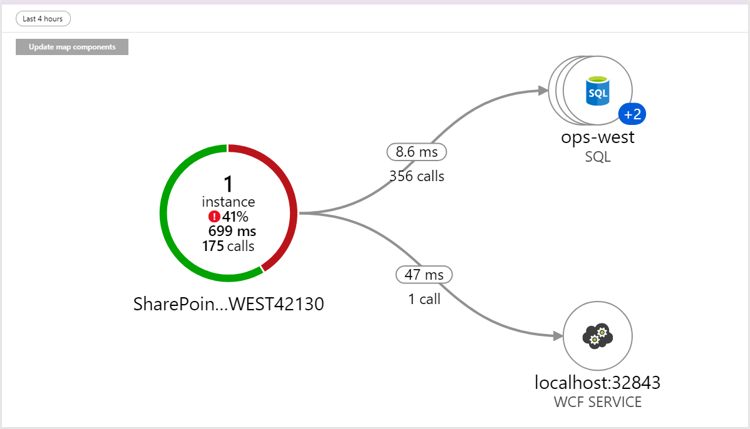 It makes an API call to your instance of Azure AD Connect Sync Health for alerts every 15 minutes . If there is a new warning alert it will generate a corresponding warning alert in SCOM. If there is a new critical alert it will generate a corresponding critical alert. If an alert closes in Azure AD Connect Health the MP will automatically detect the resolution and close out the Alert in SCOM. Nothing fancy, but it works and is pretty lightweight. AAD Connect Health will monitor this too, but it doesn’t monitor it as real-time as SCOM can. It takes over an hour for AAD Connect Health to generate an alert and I would rather know within 60 seconds if Sync is down rather than having to wait. 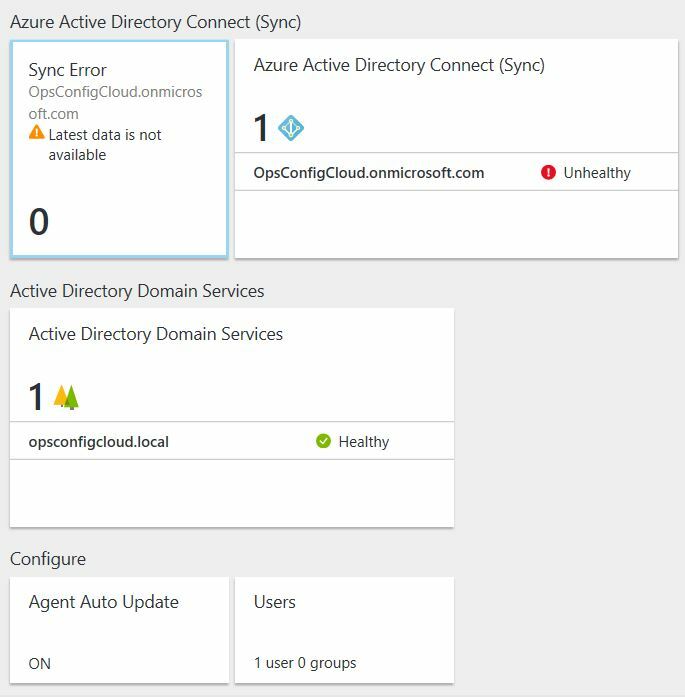 You will need a user account with necessary access to Azure AD Connect Health Sync. 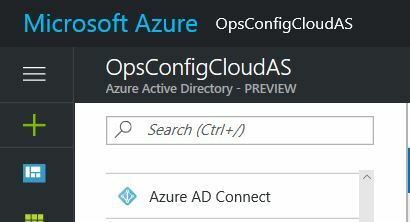 When logged into https://portal.azure.com navigate to Azure Active Directory in the left hand pane. As this is still early in the testing phase I have lazily done most my testing with an account with Owner privs. 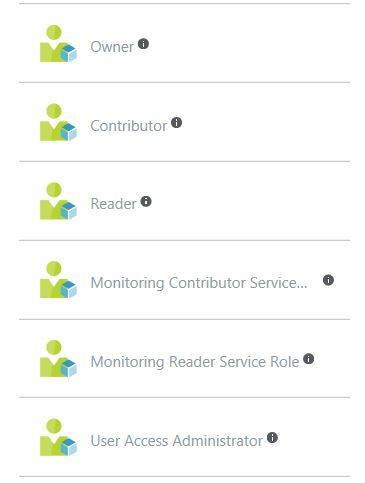 I believe Monitoring Reader Service Role should be sufficient (Subsequent testing shows that this works — see comments for details), but I need to do some more testing to insure that will always hold true. 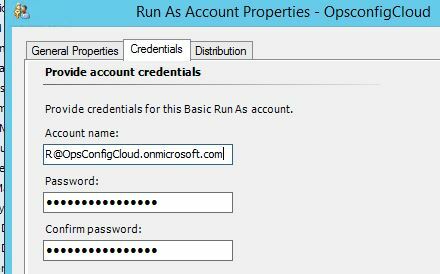 Once imported you will need to add your Azure AD Connect account configured above to a custom Run As Profile. I use an account configured with Basic Auth that I then distribute to my management servers. Override AADSync URL (the portion of the url highlighted in yellow that you copied before) – Add your AdTenant – Set the rule to enabled. 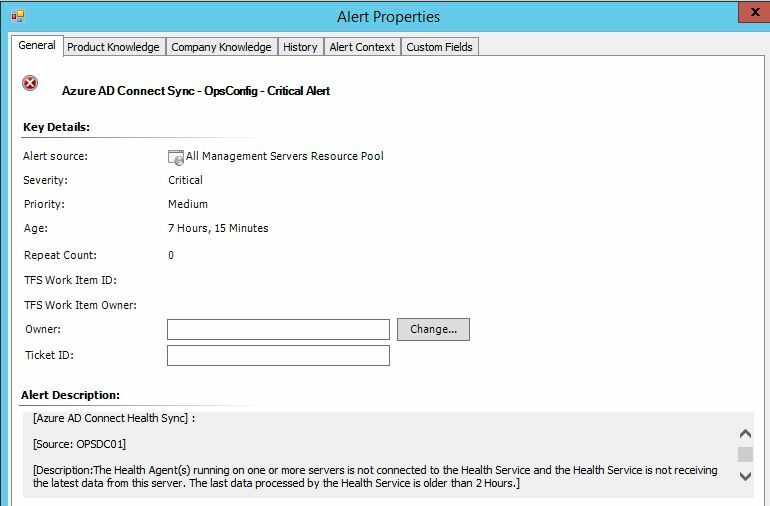 Once the alert closes in AAD Connect Sync Health it will close out in SCOM within 15 minutes. When I get back from vacation I will put together a post or a video walking through the underlying mechanics of exactly how the MP works, and then I will most likely post the Visual Studio project files on GitHub. 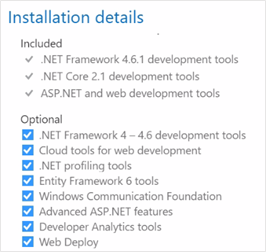 But in the meantime you are welcome to download and test it out from TechNet Gallery. Now I am off to my vacation. Cheers! My favorite part of my job is getting to work with customers and understand exactly how they use, and also need a product to work. Some of the time this just means listening closely, answering questions, and relaying information back to the product group. But often there are those tiny changes and use cases that fall outside the realm of things the product group is likely to address. A change that might be hugely valuable for Customer A, won’t happen if it breaks backwards compatibility for Customers B-Z. One of my customers has a SCOM environment for SQL that monitors over 20,000 databases. Due to their size there are often cases where the out-of-box monitoring provided by the SQL Product Groups management packs isn’t able to completely meet their needs. While the pack provides fantastic monitoring for SQL, there are times where they need a more granular view of the health of their environment. An instance of this from the past year was monitoring SQL Database backups. The SQL Product Group’s pack gives you the ability to alert if a database hasn’t been backed up in a certain number of days. By default it is set to 7 days, but you can override that to any integer value of days. For my customer this wasn’t really good enough. They wanted to be able to drill down and alert on hours since last backup. They also wanted multiple severities so if it had been 20 hours since a backup, an e-mail could go out, but at 30 hours we would generate a page. The 20 & 30 hours would be customizable at the individual database level, and they also wanted some added logic that would check database backups for databases that had a status of “ONLINE”. We have other monitors that look at DB Status in general so in this case if a database was OFFLINE they either knew about it from the other monitors and were fixing it, or it was intentional in which case they didn’t want a backup alert. The T-SQL modifications we need to make are relatively simple swap DAY to HOUR, and add in a line to only return database backup info for databases with a status of ONLINE. To get this into a working Management Pack is a little bit more complex and requires isolating and cloning the Product Groups Database Backup Monitor in Visual Studio, and then making a few changes to the XML for our custom iteration. To prevent screenshot overload I did a quick step-by-step walkthrough of the process. For this video I opted to leave out three-state severity request, and will show how to add that functionality in a follow up video. If you have any questions or need any help, just leave a comment.